The easiest way to compare cash advance rates is to use online tools to do so. There are a number of online cash advance merchants out there that will give you a quote on their cash advances. You can pull up their website, get a quote and apply within a matter of minutes. In most cases, the money will be transferred to your bank account within 24 hours. 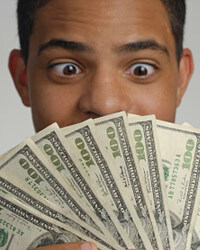 Another easy way to research rates for a $500 cash advance is to simply call around. In any given area, there are usually several cash advance stores. Just open the phone book and start making phone calls to the local cash advance merchants. Ask about costs, service and timelines to determine what company has the best product for your need.